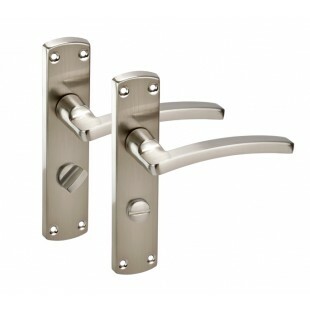 Bathroom door handles on backplate with fitted thumb turn and release are a left handed set of bathroom door handles. A recent addition to our growing range of backplate door handles that are suited to both modern and traditional interiors. Making a fine choice whether you are replacing old bathroom handles or fitting door handles on backplate throughout your home and looking for coordinating backplate door handles with thumb turn for use on your bathroom doors. 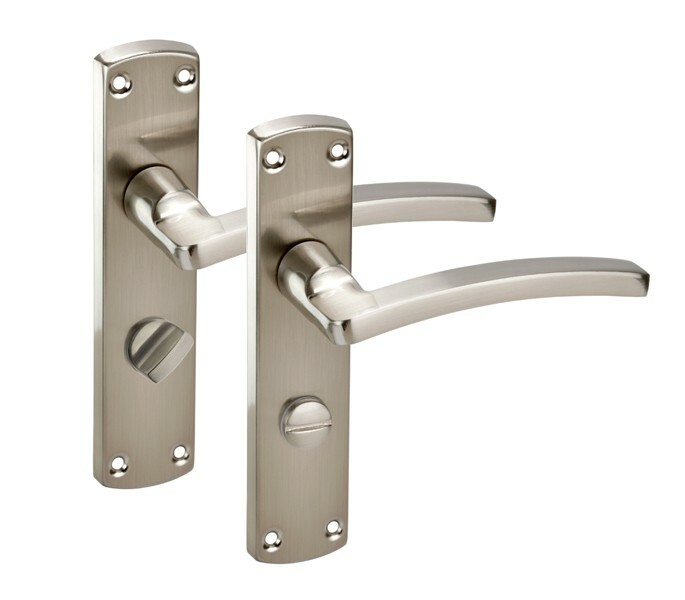 Boasting prominent attributes including an all-over brushed chrome finish and gently arched lever, not to mention an unbeatable price making them one of our most popular bathroom door handles on backplate. 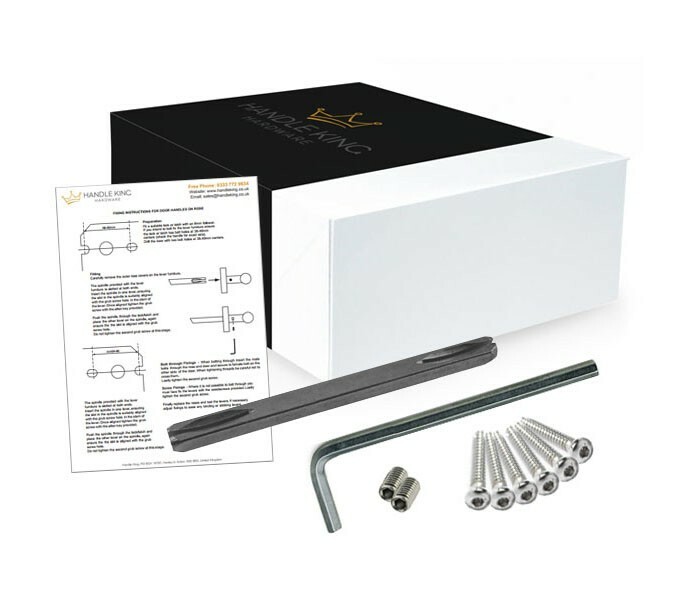 1 set of the bathroom handles with built-in thumb turn and release includes 2 backplate door handles, one for each side of the door along with screw fixings and microtight spindles. 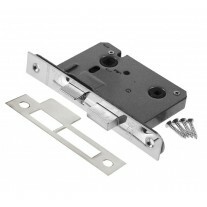 If purchasing for a new bathroom door you will also need a bathroom mortice lock and door hinges which can be purchased separately. 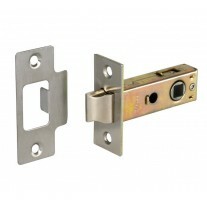 Unlike standard handles that can be fitted to both left and right hinged doors, the left handed bathroom door handles should be fitted on doors which are hung with the hinges on the left when viewed from inside the bathroom. 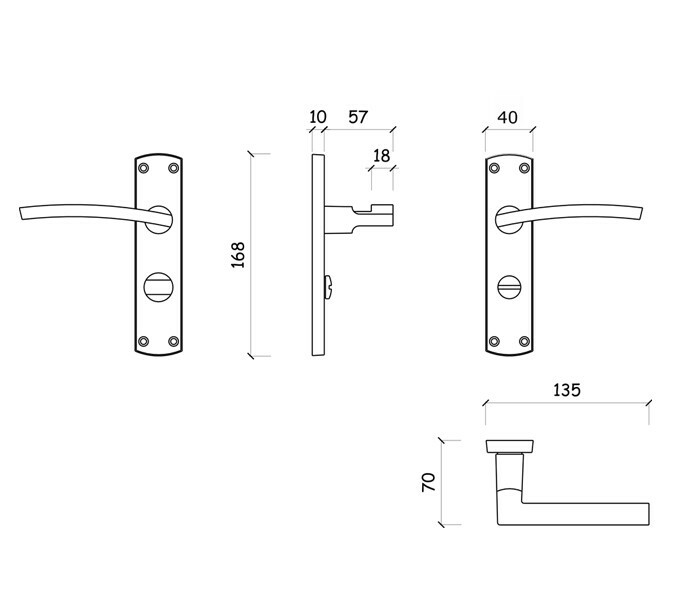 Overall handle length 122mm with 168mm x 40mm x 10mm backplate. 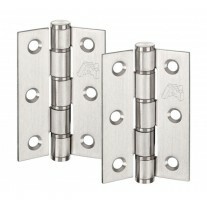 Just select how many sets of the left handed bathroom door handles on backplate you need and add to cart.